What an easy way to tuck into your favorite comfort food! I grew up in a small town, Agra, where exotic fruits were, till about 15 years ago, unseen and unheard of. So I only saw Kiwi when we would travel to New Delhi, where we would see fruits and vegetables which were not available in our sleepy town. Among these was the fruit I took some time to like. 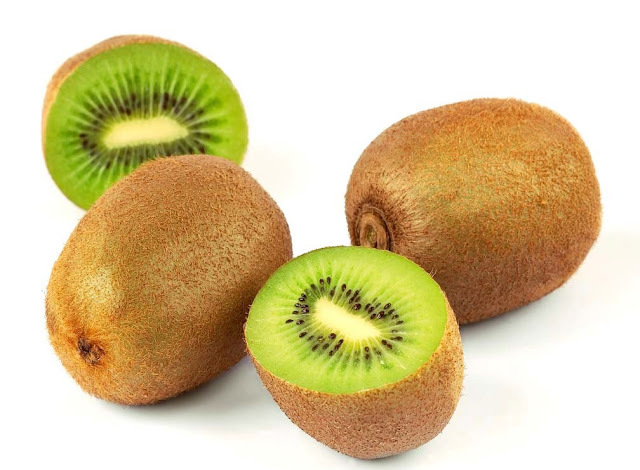 The almost sour taste of Kiwi took some getting used to, but eventually, I fell in love with this fruit. Like I mentioned before, I like to make Bruschetta from just about anything. 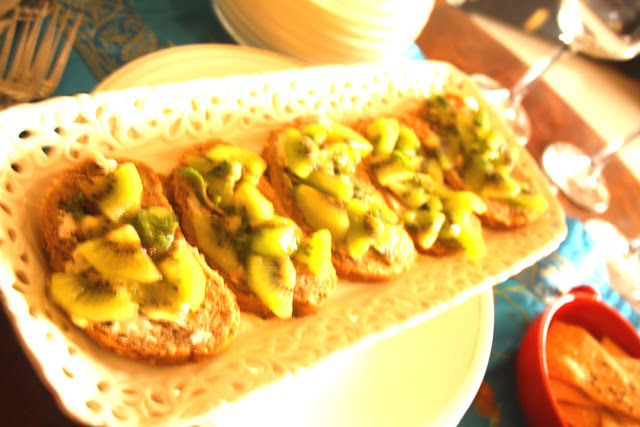 And Kiwi, with a hint of Cream Cheese, topped with mint is fruit lover's heaven. I love how this looks, and tastes. The family loved it. I loved it. And since that day, it has found it's way back into our meals, for an evening snack, or a late night bite. There really is no specific time to have this Bruschetta. 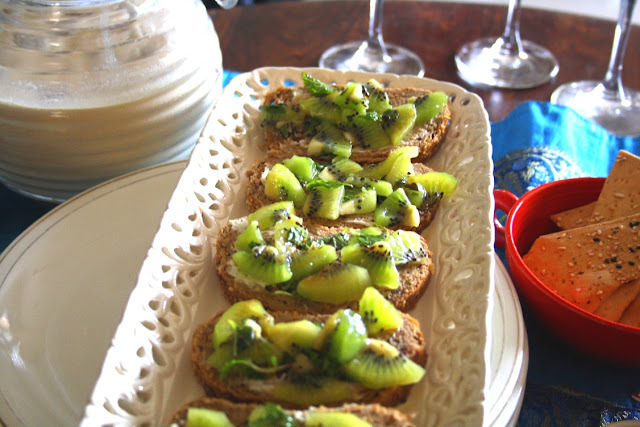 Just chop a Kiwi, and get going any time you want a quick, wholesome snack. Add in olive oil, salt and pepper. 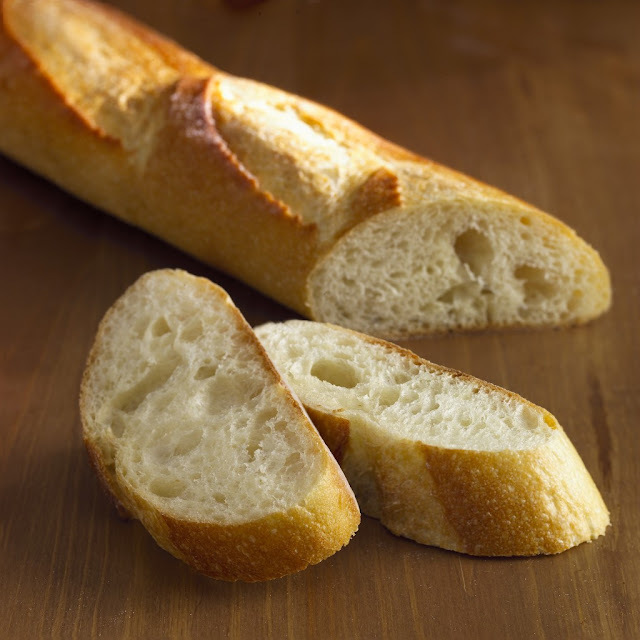 Spread some butter on baguette, toast it for 3 minutes. Spread some cream cheese on each slice. Pile as much of the bruschetta as possible onto the freshly toasted bread. 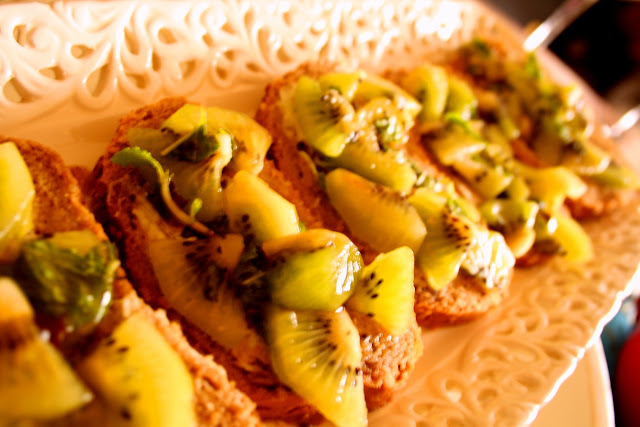 Garnish with mint and serve!